Gwen's Cards 'N Stamps in Bloom: Love that Glimmer Paper! 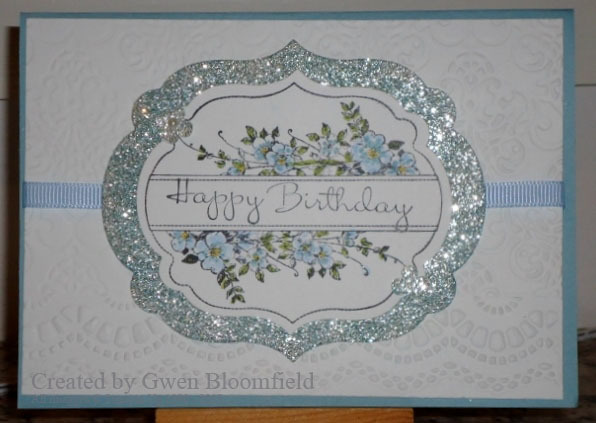 Beautiful card Gwen. The glitter adds lots of pizzazz to your gorgeous colour combination. The double embossing is a fantastic idea. Congratulations on making the blog finds of the day.